Central Adirondack Art Show at the View, Old Forge NY (May 7-June 12, 2016) : RAC members included in this exhibit were Diane Bellenger, Fran Bliek, Virginia Braun, Kathy Houston and Gabriele Lodder. 2016 Adirondack National Exhibition of American Watercolors at the View , Old Forge, NY (August 5th-October 9th): RAC members juried into the show are Nancy Lane, Valerie Larsen and Virginia Braun. Penfield Art Association’s Show and Sale, June 6th-June 12th: RAC members participating were Kathy Wagner (Best in Show), Joy Argento (Best in Show Small Work, Juror award), John Heister(3 Juror Awards), Kathy Houston(Juror Award), Erika Hutch (Juror award), Teresa Barlis (Merit), Erika Hutch (2 Merits. Also juried into the same exhibit were RAC members Teresa Barlis, Frank Bliek, Kathy Houston, Peggy Martinez, and Rosa Montante. Adirondack Pastel Society’s National Exhibit 2016: Juried into the show are RAC members Pat Tribastone, and Robin McCondichie. 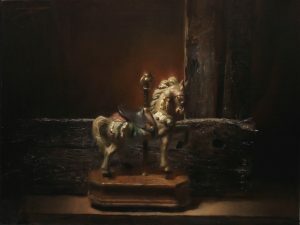 for a free demo by Corey Pitkin on Still Life in Oil!